Ruben Loftus-Cheek insists he is focused solely on breaking into the Chelsea side after starting England's friendly victory over Switzerland. He opted to remain at Stamford Bridge this year in an attempt to break into the first team on a regular basis under new boss Maurizio Sarri. Asked if he could head back to Palace in January, Loftus-Cheek replied: "Possibly, but it is still far away, there are still a lot of games to play and I just have to see what happens. Loftus-Cheek started England's 1-0 win at the King Power Stadium on Tuesday evening and has now racked up more international football than he has at club level. 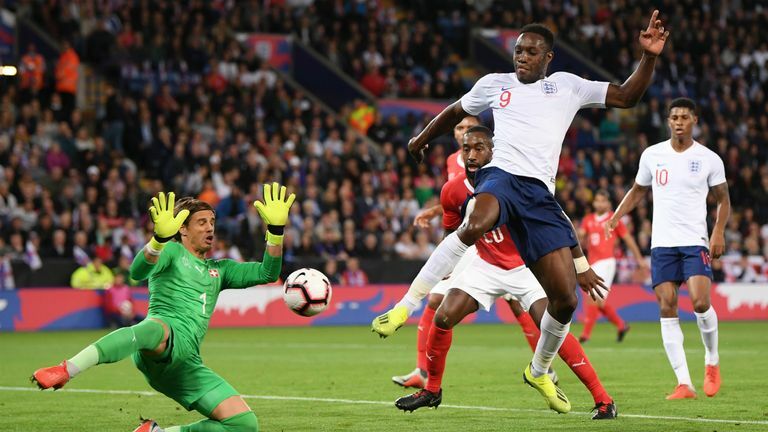 He played for 61 minutes of England's win before being replaced by Jesse Lingard but admits he was unhappy with his performance due to a lack of sharpness. Sarri, as well as his assistant and former Chelsea favourite Gianfranco Zola, have been working with Loftus-Cheek to develop his game. The Blues have won their first four league matches under their new Italian boss - but Loftus-Cheek is hopeful that the start of the Europa League and Carabao Cup over the next fortnight will afford him more of a chance to impress on the pitch. "We have to be ready and do our best when we get the chance. We had a lot of talks in the past couple of weeks and he [Sarri] said to me that I need to learn tactically so a lot of my focus and effort is learning his tactics and his ways in training. "I think the quicker I get then the more opportunities I will get to play. He is helping me and Gianfranco is helping me every day to learn it as quickly as possible and that is great for me." While Loftus-Cheek is too young to remember Zola at his pomp, he has seen enough footage of the diminutive playmaker to know how important he was to Chelsea - and revealed the 52-year-old can still turn it on in training. "He still has a bit, man," said Loftus-Cheek. "I was too young but obviously you see clips of what he did for Chelsea so to have him as an assistant is great for us players."